This product is Sawai Shoyu's soy sause, "Saishikomi Shoyu". Sawai Shoyu is an old soy sauce shop established in1897. They use all-Japanese ingredients, and the traditional techniques and tools to make their soy sauce. 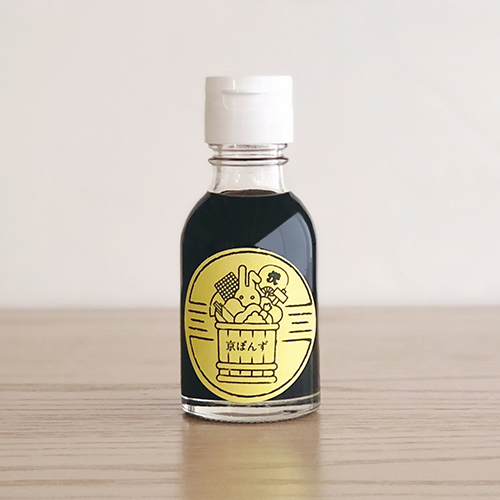 "Kyo Ponzu", a Ponzu Shoyu, which is the best for Nabe dish, is on sale now. Yuzu, Sudachi, grapefruit juice and apple vinegar are added to Sawai Shoyu. The label is the mimiya original. We chose a small enough bottle so you can finish them while the sauce is still fresh. storage: Avoid direct sunlight, store at normal temperature.